Newtown Pies is a premier bakery in Newtown, Sydney that sells high-quality delicious foods such as meat pies, chicken pies, sausage rolls, cakes and much more. We are Fifth Generation Pie makers, bringing the Best and Freshest Hand Made Pies in Sydney to Newtown and Monavale. 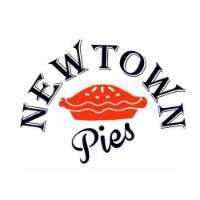 If you are looking for the finest bakery in Newtown, don't hesitate to call or visit Newtown Pies today!